Newspapers like the New York Times may be piling up revenue from their paywalls, and Warren Buffett may be asserting his undying commitment to the small-town publications he has just acquired, but there continue to be signs that the printing of news on dead trees does not have a great and glorious future — and the latest is the news from Advance Publications that its New Orleans newspaper, the Times-Picayune, will no longer be printed daily. As painful as that decision likely is for the paper and many of its staff, not to mention its print readers, the Times-Picayune is grappling with a reality that almost every newspaper will have to face sooner or later, whether they want to or not. David Carr of the New York Times broke the news that the paper was considering such a move on Wednesday, and his report was later confirmed by Advance, which said that it was forming a new company to manage both the newspaper and the New Orleans news website NOLA.com and would be letting go an unspecified number of staff, including several senior editors at the Times-Picayune. 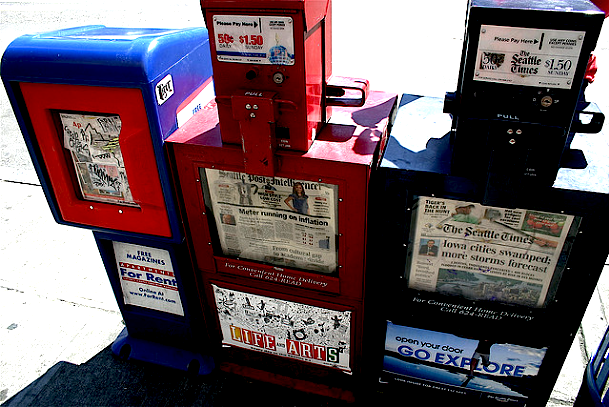 Instead of being printed daily, the newspaper will now only be available on Wednesdays, Fridays and Sundays. Who will be the next one to stop publishing daily? Printing itself remains important, and a revenue generator. But the newspaper company that is still organized around that act of production is the company whose stock you should short. Billionaire Warren Buffett has gotten a lot of attention for buying Media General and its 63 publications in a $143-million deal, as though that somehow ensures a bright future for newspapers. But while Buffett says he is committed to the kind of community journalism that the small papers he is purchasing are theoretically known for, he is a businessman first and a newspaper-lover second — and he didn’t say anything about loving print. I don’t think the Berkshire Hathaway billionaire would hesitate for a second to make exactly the kind of moves that the Newhouse family and Advance Publications are making, or even to shut down the printing presses altogether if necessary. As Hamilton Nolan notes at Gawker, printing news on dead trees doesn’t really make a whole lot of sense when you look at it rationally — at least, not as a way of delivering breaking news or real-time journalism or anything that would benefit from links, video, etc. Will people still read printed newspapers? Of course they will, in the same way that people still go to the theater or listen to the radio. But those industries are no longer the media powerhouses that they used to be, because the majority of their audience has moved elsewhere — and so have advertisers. And that is the printed newspaper conundrum in a nutshell. Journalists risked their lives for the city they loved and justly received international recognition for their hard work. It was one the finest moments for your media empire. But you are about to turn that victory into a sad defeat. All of that hard work and recognition is going to be flushed away if the daily paper ceases operations. Is that really true though? Perhaps the audience for the Times-Picayune‘s news will have to adjust, but if anything the example that it provided when it couldn’t publish in print — when the web was the only medium available — suggests that the newspaper could be just as effective, if not more so, although some seem to doubt this. Is it a painful transition to make? Of course it is, and all the more painful for the unknown number of print journalists who will lose their jobs. But the disruption caused by the web and digital media isn’t something that can be held at bay forever, not even by the sandbag strategy of a paywall. The harsh reality is that printed newspapers are no longer one of the dominant methods of delivering news and information to people, and arguably haven’t been for some time. That doesn’t mean the skills and expertise of journalists who work for those institutions aren’t valuable any more — if anything, they are even more valuable (although they are also facing a lot more competition from things that don’t even look like journalism). But they need to be done in different ways, and a kind of reactionary, fetishistic attachment to printing things on paper is not going to help. As Betaworks CEO John Borthwick put it at paidContent 2012, media companies need to stop fixating on specific containers for information. Great article, very informative, thank you for this. what is unclear is the relationship as always between the medium and the message, in this case local news when produced for print publication compared to when produced for on line distribution. In the specific case of the intended changes to the T-P we are informed that the changes include staff reductions of a third. How can the content remain the same if the human resources are reduced by this amount? I’m trying to understand from those with better knowledge of the journalism industry if there are efficiencies with internet distribution which allow for the content to not be reduced in depth, significance or quantity when the staff is reduced in this way. Nice piece. As a person who was born and raised in New Orleans and know some of the paper’s writers (S/O to Kat Stelly! )I felt bad when I heard the news. But honestly, the paper part of the news business has been dead for years. There is only one reason people will read a newspaper, a news magazine or even a news website. It’s when they want to know more. We can get a synopsis of what’s happening from dozens of places including friends, twitter or aggregation sites like Newser and Huffpo. But if I am am interested in the details then I read and will pay for the privilege. It may seem counter-intuitive but the financial answer for news organizations is to invest in giving people more not less. And not on paper. What a shame that the Newhouse organization never realized how to run a paper–anywhere it seems. How tragic for the people of New Orleans–and fine paper bites the dust and journalists are reduced to, well, nothing. As I understand it, you advocate a value-added section as a better way to go than paywalls. The Globe and Mail had something like this called Globe Insider, but abandoned it in 2008 for the more limited Globe Plus. Now they’re creating with a paywall. What are your thoughts on this? New Orleans will become the largest city without a daily newspaper and many residents still donâ€™t have internet at home. 52nd largest in the US. Smaller than Fresno, Colorado Springs and Bakersfield. It’s a revenue question. Digital advertising revenues don’t cut it, and may never do so. (After all, if you have an infinite supply of ad space, what’s a digital ad really worth, regardless of whether it’s “targeted” advertising or not.) 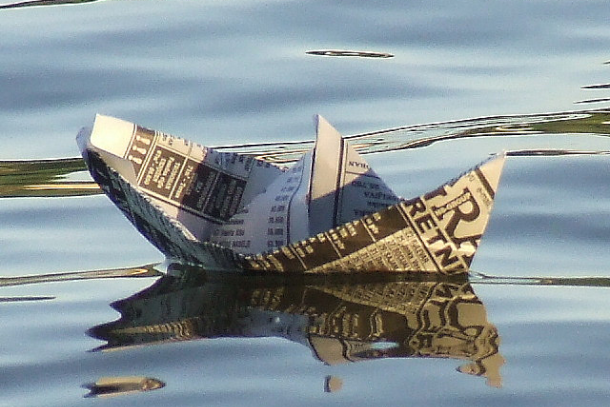 The shift to a digital-centric way of doing business is well under way at most newspapers. The hard part, as we are now seeing, is how a newspaper publisher can continue operating in a revenue environment that is about 15 percent of what print generates. And if you look at many digital-only sites that aren’t backed by some sort of fundraising element or financial entity, you quickly find you get what you pay for…. @Chucolo: Obviously, revenue plays a part. A huge part. But it’s by no mean *just* a revenue question. It’s a revenue and costs question. Sure, unit-pricing of print advertising is an order of magnitude greater than that of digital. But production and distribution costs are also that much greater. For the time being, non-national newspapers in the US are in the lousy position of having print operations that are no longer viable, but not yet having a large enough digital audience to be profitable online. Ad rates are on the upswing and some digital products are selling at rates comparable to their analog counterparts. But who knows how many publishers will be able to hang on while the ad market catches up with their cost structure. Despite all the talk about print being dead, a lot of people still read the newspaper. We recently ran a short little feature about a historic house. It was published on the bottom corner of page 2B of our Metro section — about as hard to find as you can get. So if I were a media baron, I wouldn’t be so quick to abandon my printing press. Print has certain strengths, and the Web has certain strengths. I’d like to see the Times-Picayune capitalize on both of them in smart ways. But I don’t have my fingers crossed. Betaworks CEO has it right — unbundle the content. Thanks, Professor — well said.